2017 will prove to be as difficult to predict as 2016. Extreme events will materialise – like Brexit, the Pravin Gordhan affair and the Trump presidential victory – which will shock the markets. We need to keep an eye on how the Trump policy materialises and the effect of Brexit and the European elections on the markets during this year. 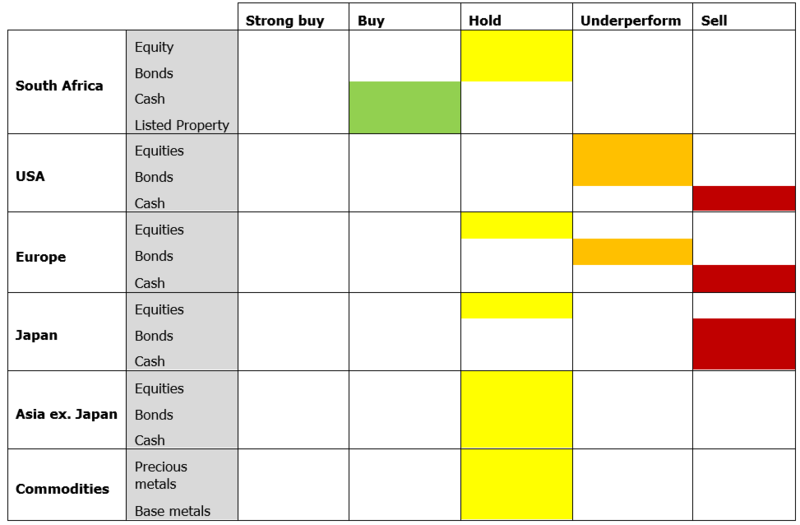 In this time of uncertainty portfolio diversification will be critical, as it is impossible to position a portfolio for events that cannot be foreseen. On the positive side, global growth indicators are improving. 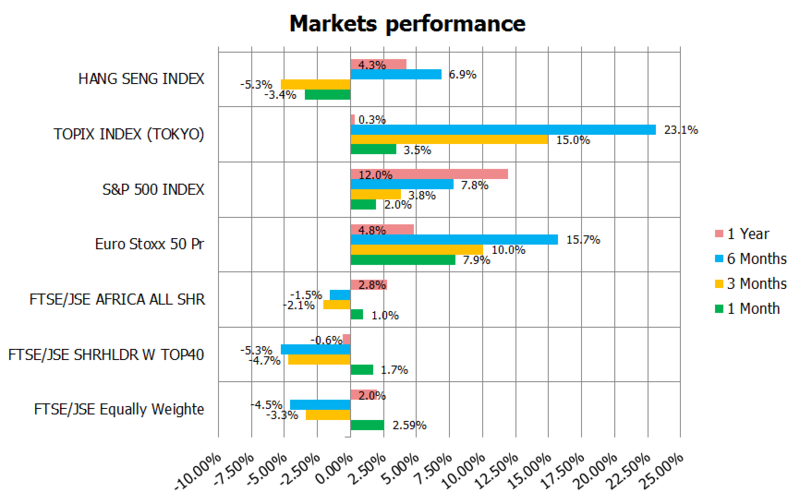 Global Purchasing Managers Indices (PMI’s) are pointing to more expansion, we are seeing some inflation pickup in developed markets (DM), commodity prices have stabilised with some improvement and emerging market (EM) currency volatility is coming down with some strength in selected currencies. The most important catalyst over 2017 will be the development and implementation of policy in the US.The main issues will be tax reforms, infrastructure spending and potential re-negotiation of trade agreements. Tax reforms can be developed and implemented fairly quickly towards the second half of 2017. The market is less optimistic on infrastructure spending. Policy legislation and implementation will take a long time, especially given that implementation will be on state and municipal level. Since the US election market expectations have been high, strengthening the US dollar and driving US long bonds higher, as inflation expectations created some panic. The positive is that US long bond yields started normalising. However, if Trump disappoints, which is expected by many, markets will react violently. We should see the US short-term interest rates increasing over the next year or two as inflation creeps above 2% and growth improves some more. This will be a positive for commodities but the growth will attract capital in a shrinking dollar pool, leading to a stronger dollar. 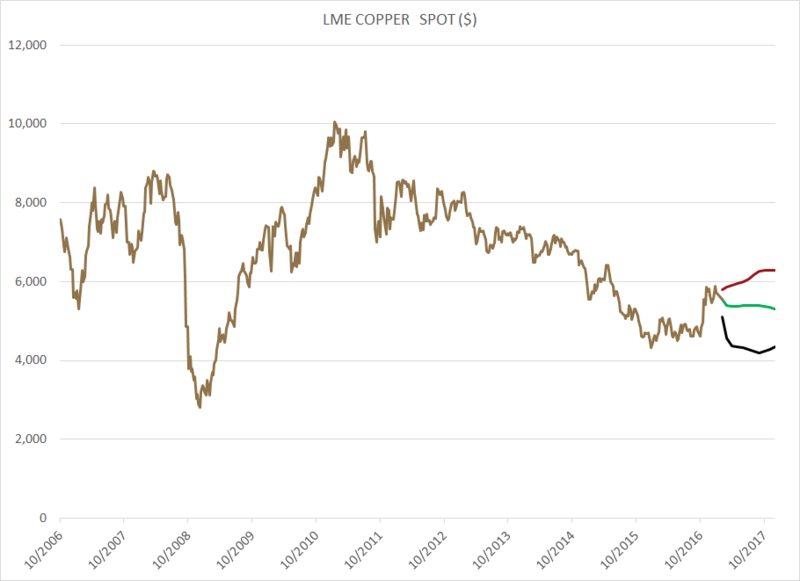 The importance for South Africa is how commodity prices evolve. 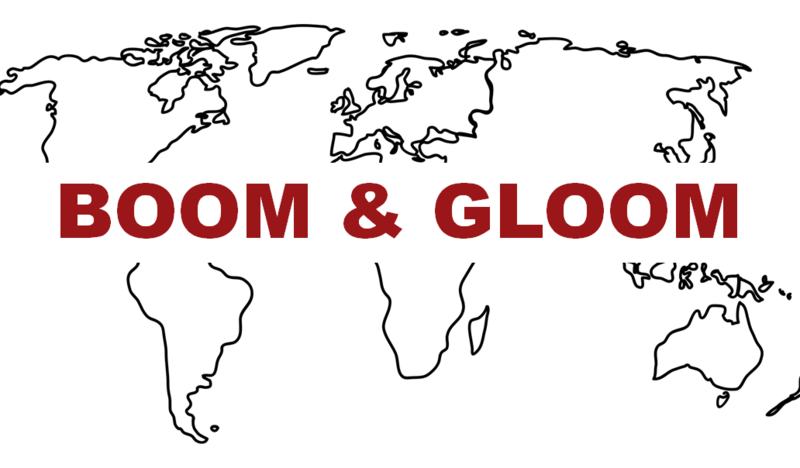 EM growth looks promising, Brazil and Russia seem to have turned a corner which is expected to attract attention. Commodity exporters will start to feature as the effect of improving commodity prices starts to manifest in their economies. This brings us to South Africa. We are getting so used to looking for bad news that we miss the green shoots popping up in the economy. 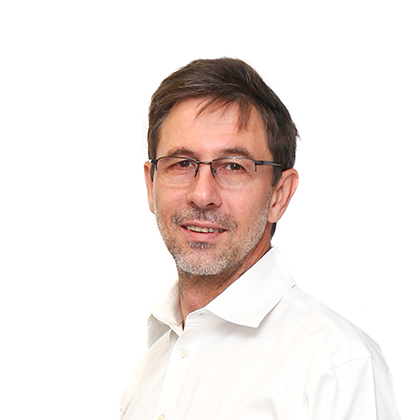 The improved and more stable level of the rand, good summer rains and improving commodity prices will be the catalyst for improved (albeit still subdued) growth. We expect the profitability of resource companies to rise and corporate tax payments to start improving in this sector, which will support government finances and thus domestic bonds and the rand. If we can add political stability, ignoring the noise, to the scenario – we might be able to dodge junk status this year. The commodity markets are driven by supply and demand factors over the long-term and growth expectations add emotion in the short-term, causing volatility. There are very specific supply and demand dynamics on individual base metals. 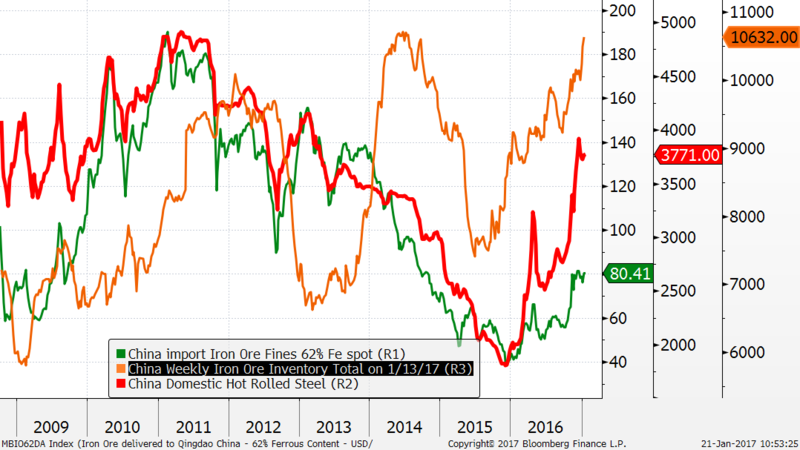 Iron ore will have an oversupply over the medium-term. However, prices have spiked from late 2016, driven by higher steel prices and a shortage of high quality ore following the crackdown on induction furnaces in China. Induction furnaces are generally used to process scrap steel. Port stock levels are extremely high but the quality is rumoured to be low. The market expects iron ore prices to range between $55 and $60 over the next year. The expectations for copper by the median consensus is also fairly stable around $5 300 to $ 5 547 per ton over the next year. New supply is not as ample as iron ore placing some risk to the upside. 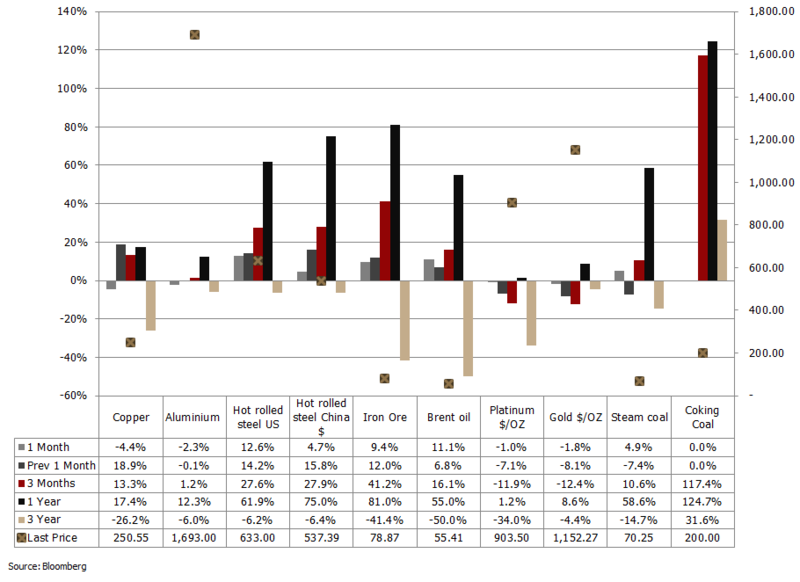 Gold and platinum are expected to strengthen somewhat over the year. Gold will be constrained by a potential stronger US dollar but supported by global event risk. Platinum will be supported by growth potential that can materialised by high auto and jewellery sales. Our base metal model sees the Bloomberg Base Metal Index down 4.2% by year end, we do see the risk on the upside. The Bloomberg Precious Metal Index is expected to appreciate by 7.8% by year end. We reduced our precious metal position to hold and retain base metals at hold. 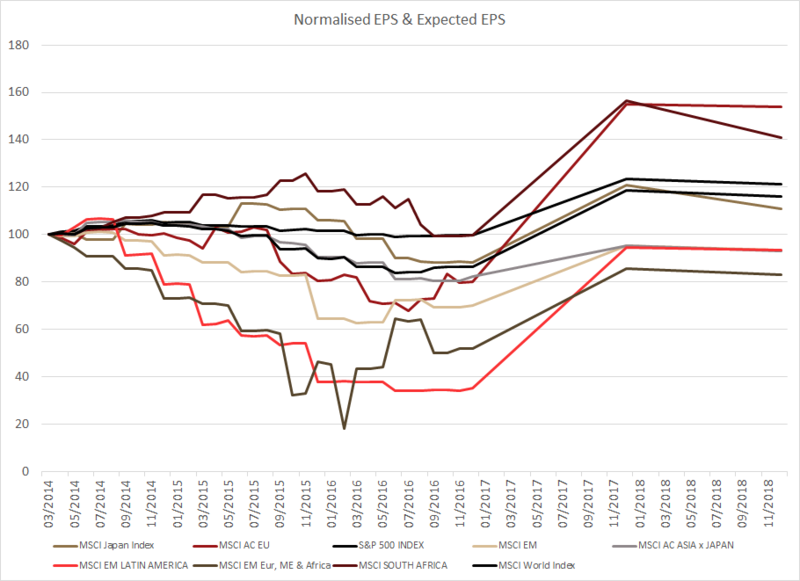 Earnings expectations have strengthened substantially across all regions, see the graph below. This is aggressively pushing the forward PE’s down, making the markets appear cheap. However, expectations seem to be a bit optimistic driven by the hype around the Trump policy so one should be cautious accepting the level of forward PE as fact. The market is slowly moving into risky assets as growth improves and inflation expectations pickup. Looking at the graph below, the majority of the regions have both the economic PE as well as the historical PE at above average levels. This should highlight the risk in the expected earnings growth in the market noting that the forward PE’s are generally below average. 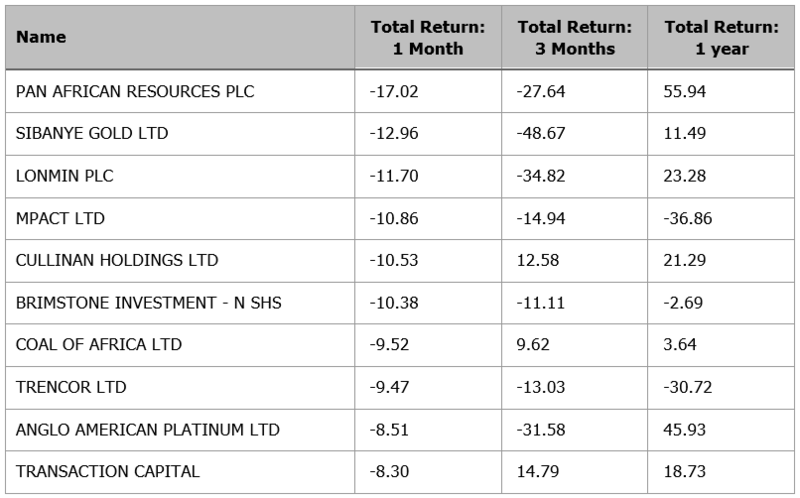 The table below shows the expected returns, given a mean revision of the market rating and using the optimistic consensus earnings. However there is risk in the returns realising, as well as geo-political risks. We further consider our multi-factor fundamental model. 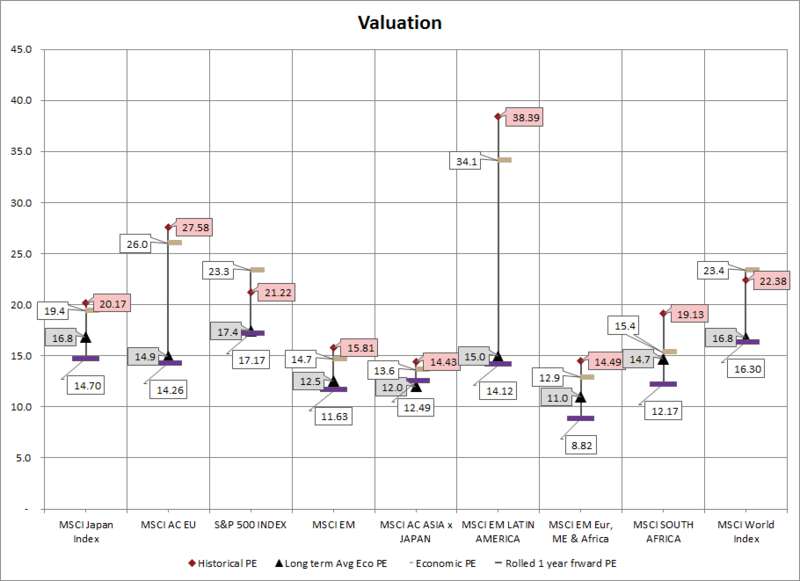 The model compares and scores the historic PE, price to book, operating margin and ROE per region relative to long-term means. The model helps to control rating risk and quality of earnings growth expected. 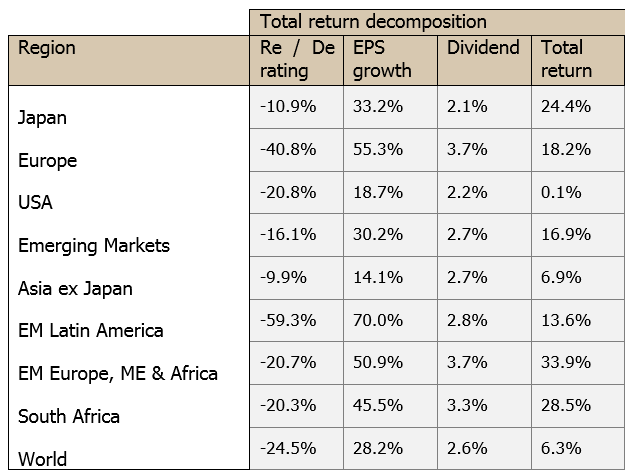 EM stands out as the top pick, this forces one to review the expected earnings growth especially in Asia ex Japan and the optimistic growth expected in Japan. Given the modelling above and evaluating qualitative issues and recent market performance, we decided to shift South Africa to hold from underperform. Our preference would be cyclical counters as we expect interest rate cuts in the second half of this year, as well as the positive impact of a more stable currency and improved commodity prices. Our macro top down South Africa model supports the more positive view. 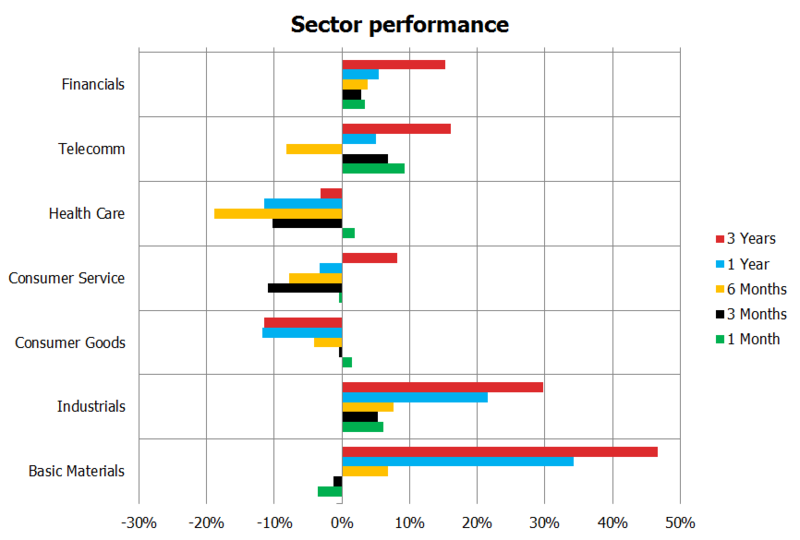 We also move European equities to hold as growth improves and the weak Euro assists export potential. We take Japan to neutral from buy. The higher levels of inflation in developed markets improved growth expectations, which triggered a correction in long bond yield in these markets. The US 10 year bond moved from a low of 1.36% in August 2016 to nearly 2.5% currently. German 10 year bonds jumped from a low of -0.15% to 0.42% currently. Expectations of growth improvement due to Trump policy changes caused these moves. We expect more weakness and high volatility in the US 10 year bond as it drags other long bonds with it, especially European developed markets bonds. We will stay cautious retaining our underperform position in all DM bonds and the sell position in DM cash. One should not get too complacent on South Africa, even though we have seen reasonable political stability after the Nenegate debacle. The medium-term budget presented by Pravin Gordhan in October 2016, and stronger commodity prices, calmed rating agencies and investors. This resulted in a decrease inrand volatilityand entrenched stability in the bond market and allowed the country risk premium embedded in the bonds and credit default swaps to contract. We are retaining our hold on domestic bonds andwill consider moving to buy once we see some evidence of improved tax collections, improved inflation expectations and a stabilisation of the US 10 year long bond. 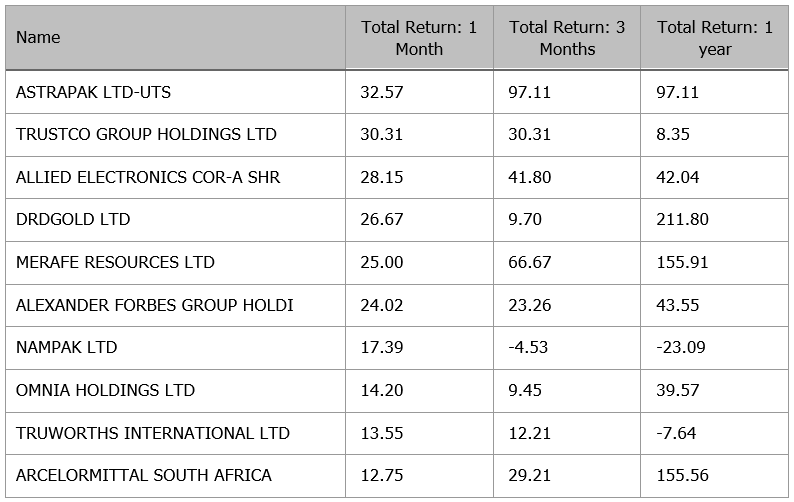 South African cash is yielding positive real returns, thus we are maintaining our buy position. Manufacturing production surprised the market by expanding 1.9% YoY in November, up from the 2.7% contraction in October. Mining production contracted 4.2% YoY in November, down from 2.9% YoY contraction in October. The contraction was broad based. Retail sales were up 3.8% YoY in November, delivering a very strong 3.5% MoM supported by Black Friday promotions. General dealers were the star performers. We expect retail sales to stay fairly subdued, due to little potential for improvement in consumer disposable income. Offshore investors sold R5.9 bn in bonds and R2.9 bn in equity in December. Year to date offshore investors bought R28.5 bn in bonds and sold R127.9 bn in equities, resulting in a net outflow of R99.4 bn. Inflation for December jumped to a surprising 6.8% YoY, the market only expected 6.5%. Food, rental, furnishings, stationery, and package holidays drove CPI up. We expect CPI to retrace over the first quarter of 2017.